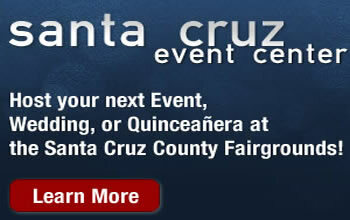 The Santa Cruz County Fair is almost upon us. How time flies! Opening day is Tuesday, Sept. 9, and it runs through Sunday, Sept. 14. For years, families throughout the county and beyond have prepared feverishly the first two weeks of September, grooming their livestock and finishing projects for the largest, most wholesome event in the valley and in the county. Parents, leaders and junior leaders work endless hours with the kids, putting the booths together, entering their projects, feeding and grooming their livestock just right.